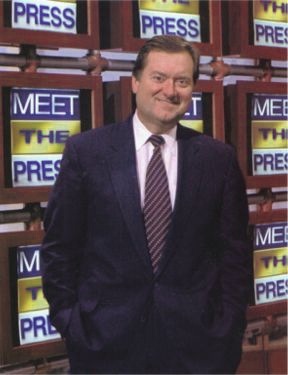 Russert was recording voiceovers for Sunday’s “Meet the Press” program when he collapsed, the network said. He and his family had recently returned from Italy, where they celebrated the graduation of Russert’s son, Luke, from Boston College. I'm really bummed out. Russert was one of the greats.